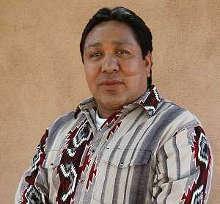 John Montoya was born into Sandia Pueblo in 1960. 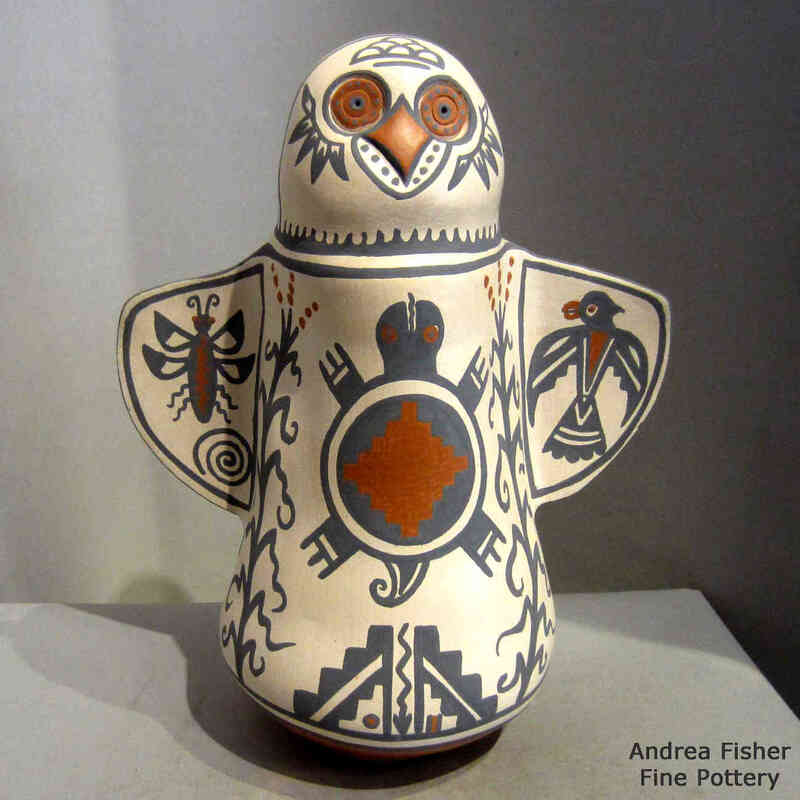 He had a job painting ceramics while in high school and that started him down the path of making pottery but after high school, he gave four years to the US Navy. 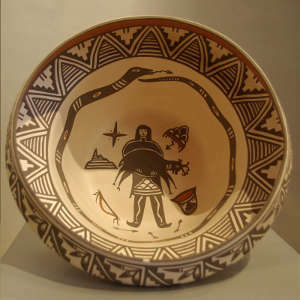 Then he returned to Sandia. 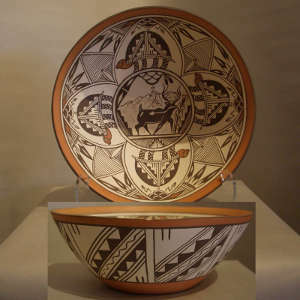 He got interested in the traditional ways of making pottery but the Sandia pottery tradition had almost been erased. He approached a potter of another pueblo with a gift of tobacco in hand but the potter refused to accept it saying, "Clay Mother is the best teacher." That forced John to develop his own style without outside influence. He started practicing with commercial clay, then transitioned to local clay. All he had guiding him was tradition and what he learned through his own practice. He eventually got really good at it. 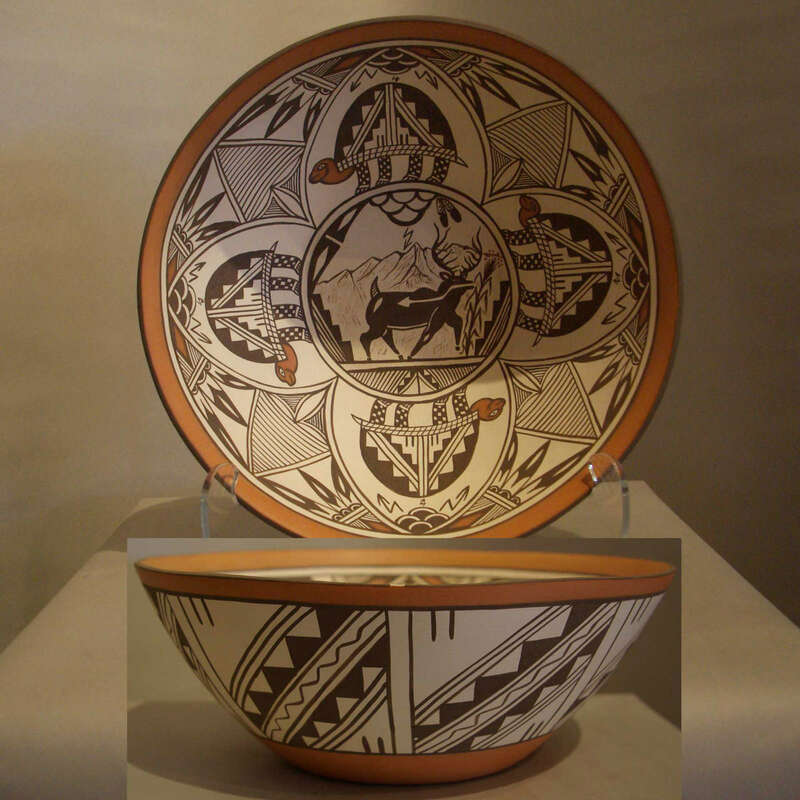 He and a handful of other potters were trying to reestablish the tradition at Sandia but there are only about 200 residents in the pueblo and many are employed in other tribal positions, many in the casino/hotel. Then John died.